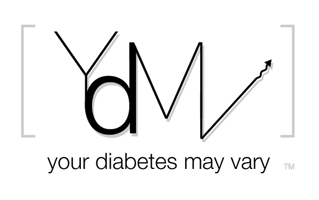 Your Diabetes May Vary: Hi FDA, It's me again. Hi FDA, It's me again. The FDA has another open docket that I would encourage anyone with an interest in medical apps and ePatient rights to use as an opportunity to share your views with the good folks at the FDA. My pal Bernard tweeted me with this link to Draft Guidance for Mobile Medical Applications. Thank you for the opportunity to comment on Mobile Medical Applications. My wife and I have two teens with type 1 diabetes. Our hope is that they develop and pursue dreams and aspirations not limited by diabetes. Mobile applications can help that. The FDA through guidance can help facilitate dreams by facilitating a robust mobile device ecosystem. We use many portable medical devices to manage type 1, insulin pumps, glucose meters and continuous glucose sensors. Each as its own desktop software. None of those systems are capable of sharing the diabetes information with other systems. Diabetes care is all about balancing blood glucose with insulin, food and activity. The Diabetes Control and Complications Trial (DCCT) showed that tighter control leads to healthier lives. W. Polonsky, PhD, of the Behavioral Diabetes Institutes says, “Well-controlled diabetes is the leading cause of nothing.” Our goal is to control diabetes and pursue dreams. Applications can combine data from multiple devices to help give insight into the whole of diabetes care. Mobile devices can facilitate that insight in real time, in real lives, bringing the vision of DTTC into practice. The FDA can facilitate this future with regulations that take an approach that sees patients’ information as something they have an ethical right to have. FDR add value through safety review. This should be expeditious to prevent delay becoming a veto of innovation. This means the FDA will need a process to quickly re-approve apps to keep apps current with advances in mobile operating systems. Most significantly the FDA can ease the review process and facilitate app development through open data standards. Common data standards and database tools will make it easier for the FDA to insure safety while simultaneously providing a common framework for application development that will lower the development cost for innovators. Thanks Bennet, that's a great comment that helps the FDA see the value in ensuring the data is available. A Halloween Re-Run: Eat the Candy. CWD Technology Conference in Philly! Dear FDA It is Me Again, Again.